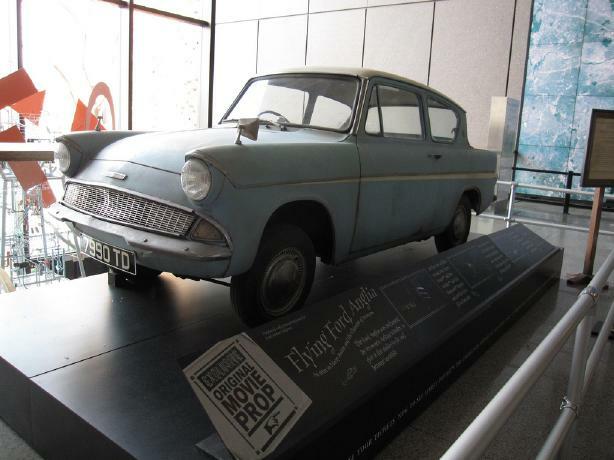 Harry Potter: The Exhibition is an international traveling exhibition, created by Global Experience Specialists, featuring hundreds of authentic props, costumes, artifacts and set dressings from the Harry Potter feature films. 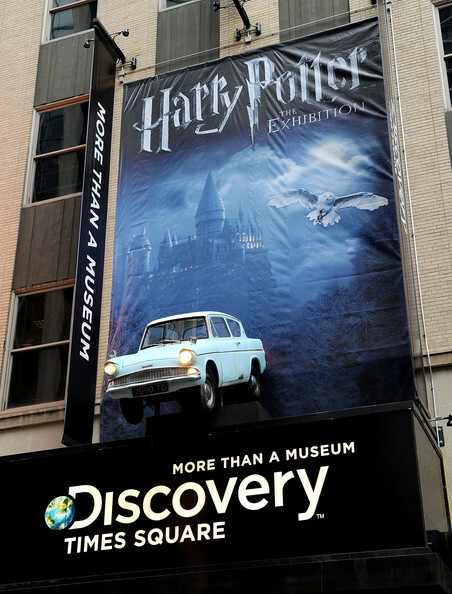 The 10,000-square-foot Exhibition displays iconic items including Harry Potter's original wand and eyeglasses, the Marauder's Map, the Golden Snitch, Gryffindor school uniforms, and costumes worn at the Yule Ball. 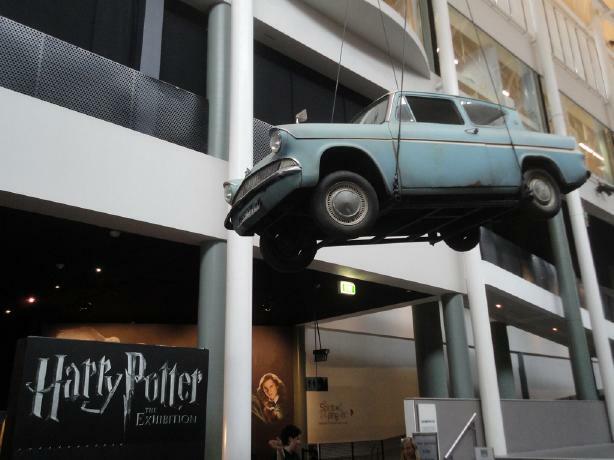 The majority of artifacts featured were flown in from the Harry Potter film sets in Leavesden Studios just outside London. 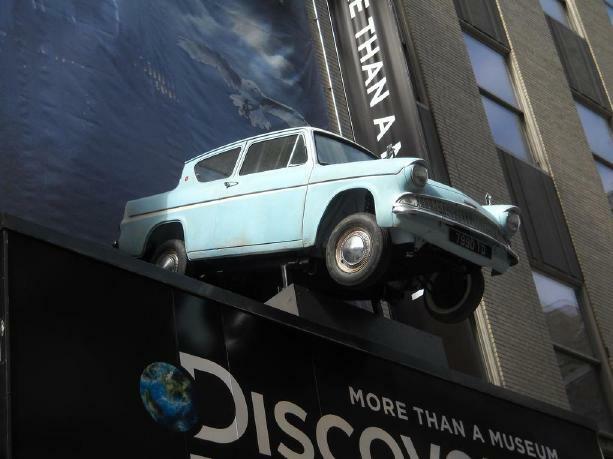 Throughout the Harry Potter films, most of Harrys adventures take place at Hogwarts School of Witchcraft and Wizardry. 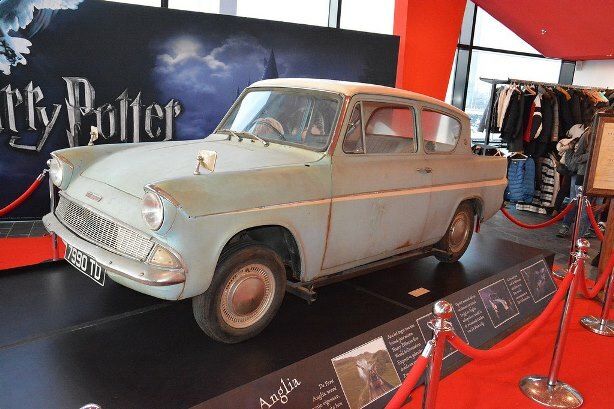 Therefore, Harry Potter: The Exhibition uses themed environments inspired by the Hogwarts movie sets as backdrops for the artifacts and costumes on display including the Gryffindor Common Room, Hagrids Hut. 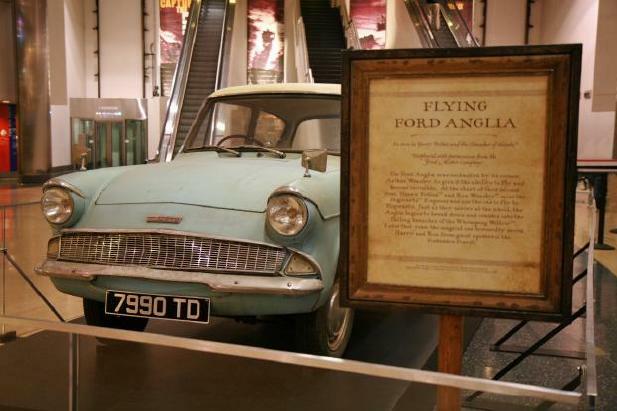 the Great Hall and the Ford Anglia. 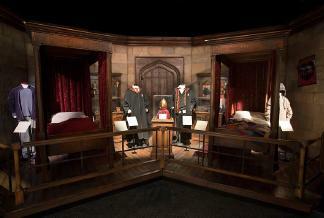 Gryffindor is one of the four houses at Hogwarts School of Witchcraft and Wizardry. 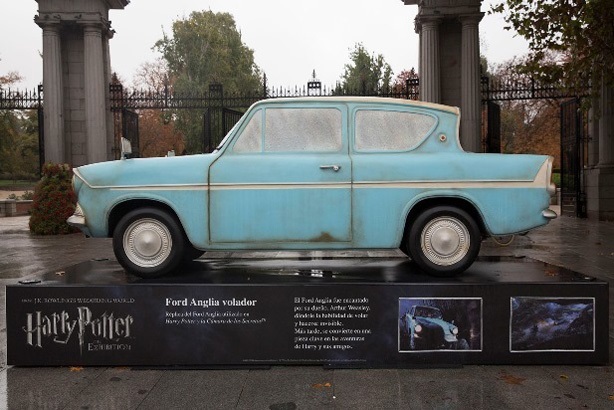 Harry Potter and his best friends, Ron Weasley and Hermione Granger, are all members of Gryffindor, the house known for bravery, daring, nerve and chivalry. The Gryffindor common room can be found in one of Hogwarts castles towers  and its entrance is guarded by a painting of the Fat Lady. She will only allow entry upon being given the correct password, which changes frequently. Keeper of Keys and Grounds at Hogwarts, Rubeus Hagrid lives with his dog Fang in a hut on the edge of the Forbidden Forest. 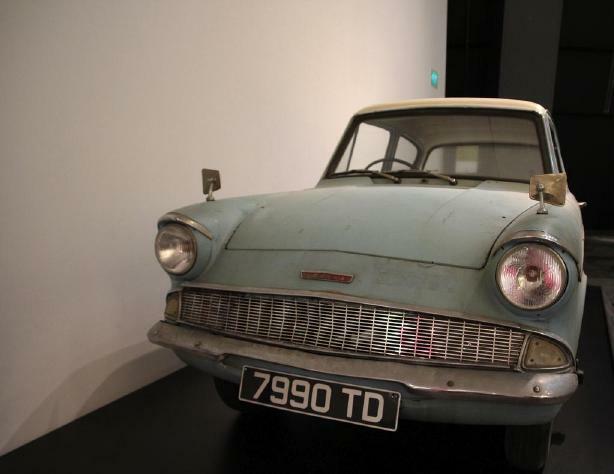 Hagrids enormous presence and booming voice belie his soft heart, and he becomes a loyal friend to Harry, Ron and Hermione  who often drop into Hagrids hut for a visit. 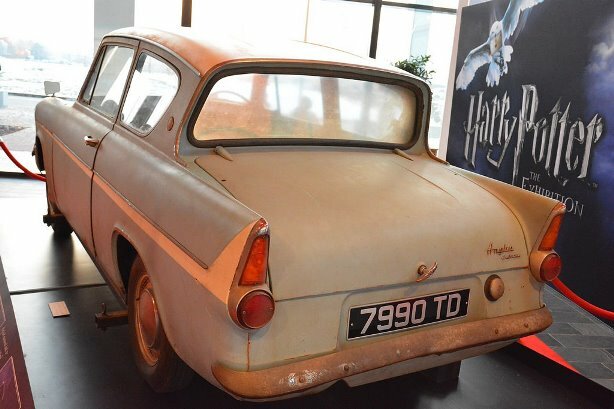 As Hagrid is half-giant, all of the furniture and many of the other items in his home are over-sized. 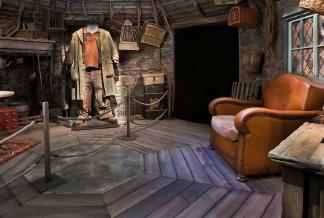 The Exhibition gives visitors a chance to look inside Hagrids hut and sit in his giant chair. - 18th November 2017 to 2nd April 2018. 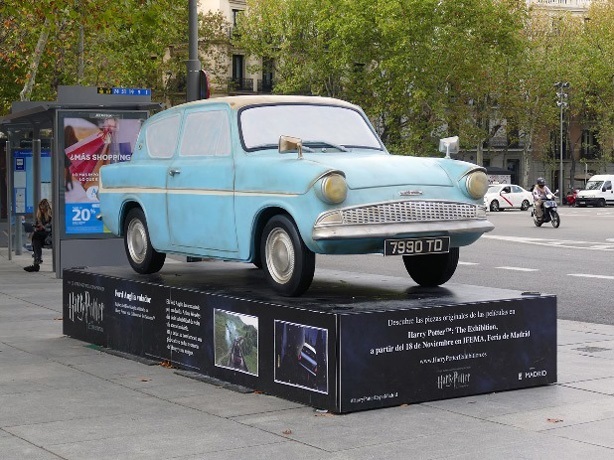 A replica Ford Anglia was mounted on a plinth in the streets of Madrid. - 11th February 2017 to 30th June 2017. 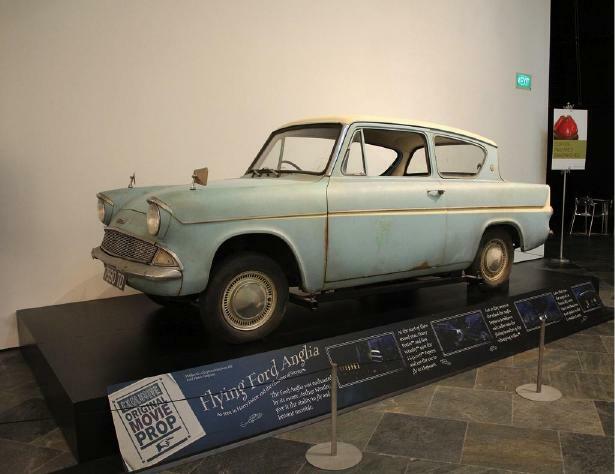 The Ford Anglia was mounted on a plinth. - 30th June 2016 to 6th January 2017. - 19th May 2014 to 7th September 2014. - 23rd November 2013 to 9th March 2014. 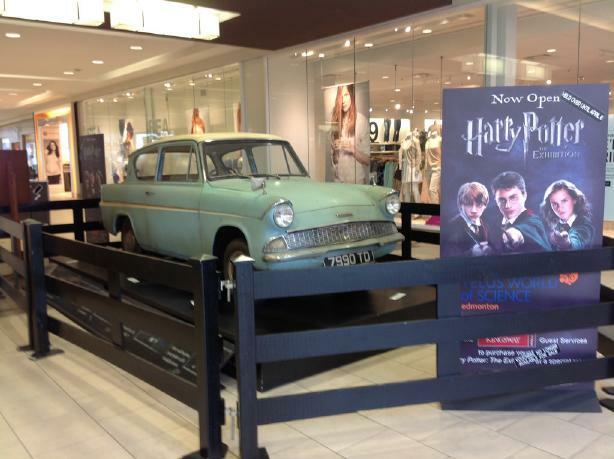 The Ford Anglia was mounted on a plinth in an Edmonton Shopping Centre. - 22nd June 2013 to 16th September 2013. 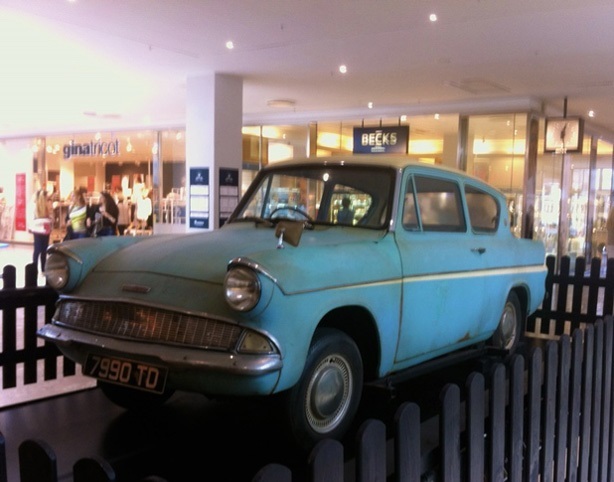 - 3rd November 2012 to 7th April 2013. 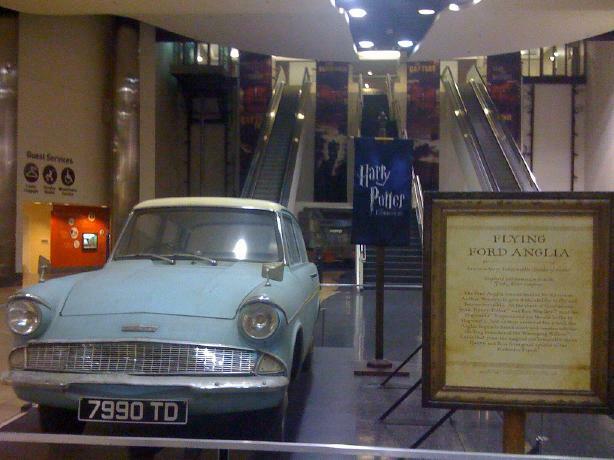 - 2nd June 2012 to 30th September 2012. 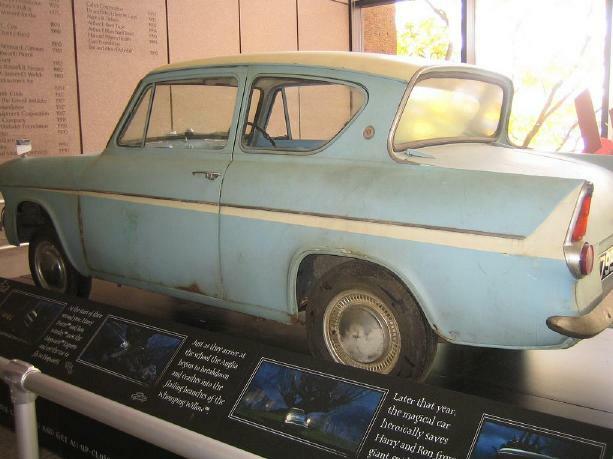 The car was displayed on a plinth inside the museum foyer. - 19th November 2011 to 18th March 2012. 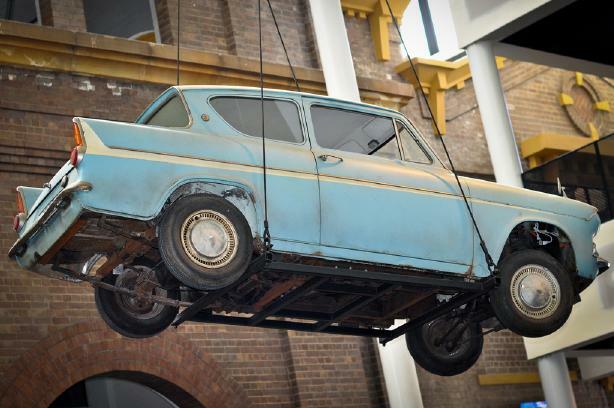 The car was suspended on wires outside the museum. - 5th April 2011 to 5th September 2011. 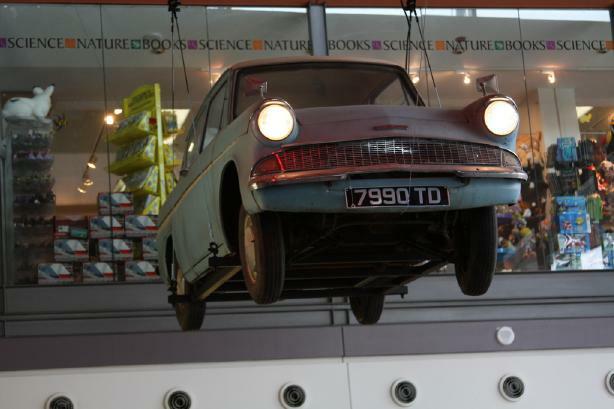 The car was mounted on a plinth above the museum's entrance. 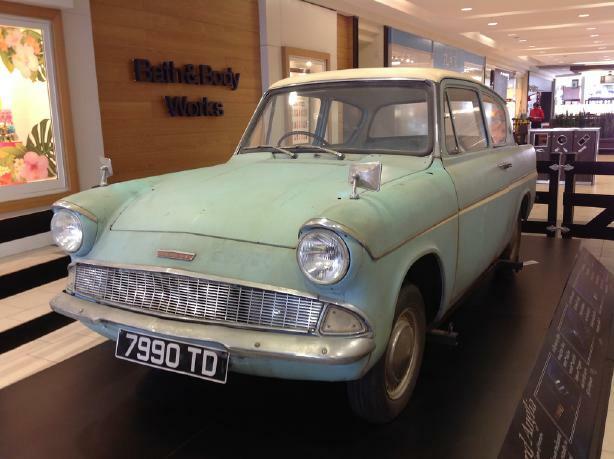 I can't find any information to say whether the Ford Anglia was on display or not. 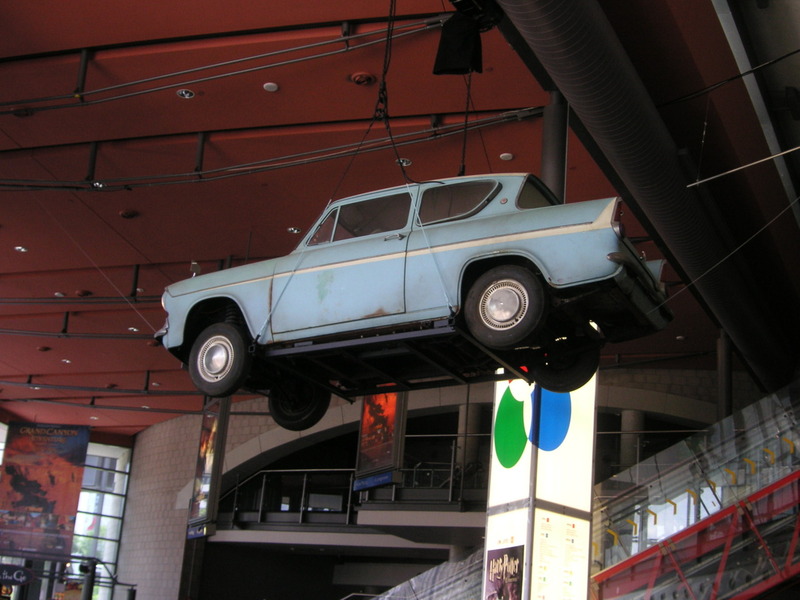 The car was suspended on wires inside the museum foyer.